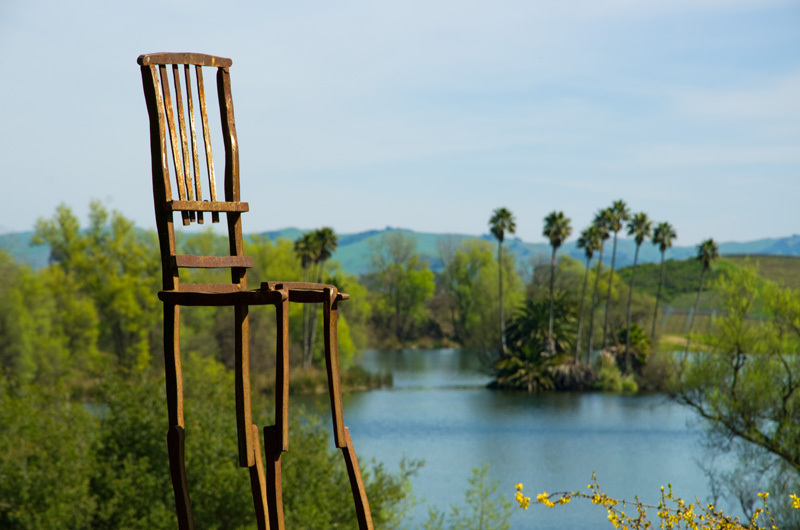 A chair whimsically perched on stilts sits on the edge of Winery Lake, one of some 2,000 works of art at the di Rosa. Tucked among the vineyards in the Napa Valley, the collection is considered the most significant holding of Bay Area art in the world. A visit to the di Rosa is not a traditional museum-going experience. Guided tours—the only way to see the full collection—combine indoor and outdoor viewing in various areas of the property, once home to vintners and art enthusiasts Rene and Veronica di Rosa, the collection’s founders. The eclectic assortment features everything from painting and sculpture to ceramics and video, created from the 1960s to the present. Interior of an automobile adorned by David Best. While waiting for the tour to start, we perused the Gatehouse Gallery (the only area open to drop-ins), where a small number of items from the main collection are on view along with a rotating exhibit. A shuttle ride then took us past the lake and deeper into the grounds to our first stop: the Main Gallery, a warehouse-type space that houses the bulk of the di Rosa’s holdings. 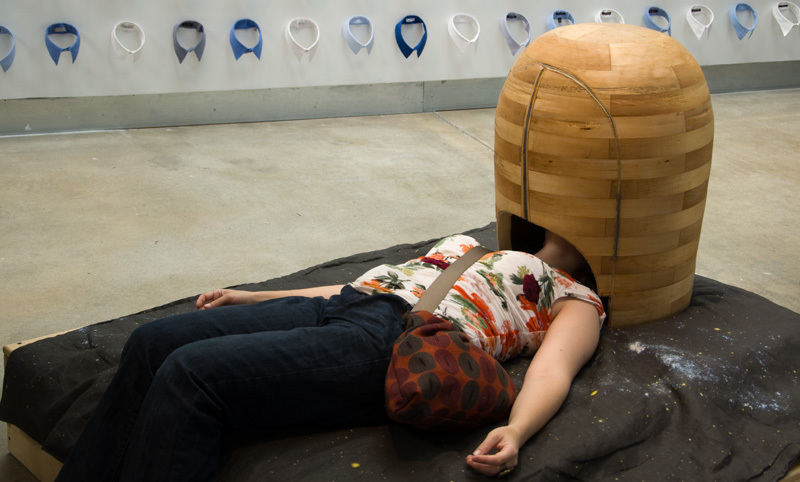 Some exhibits invite participation and turn unwitting patrons into performance artists for the rest of us. One of the most talked-about pieces among our group was Sandow Birk’s The Triumph of the ‘S.S. 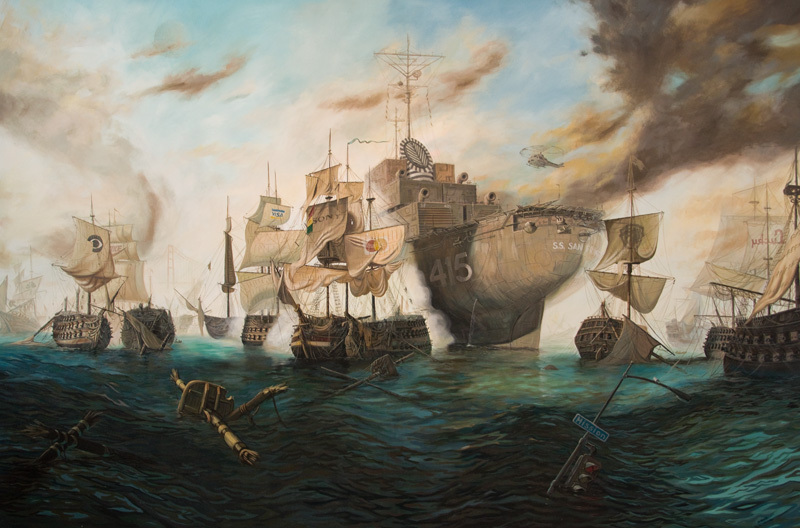 San Francisco’ (below), one of a series of paintings depicting a fictitious war between San Francisco and Los Angeles (a close look reveals some of Birk’s satire, like the conflict’s corporate sponsors). 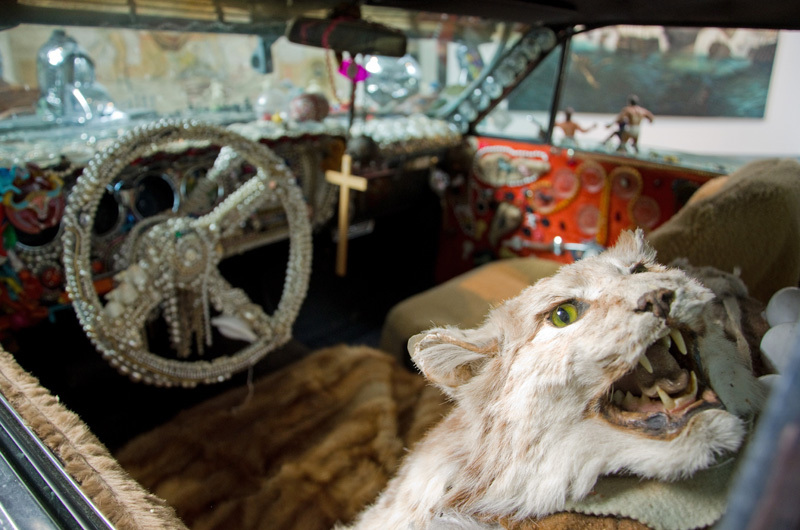 Oddly intriguing is one of David Best’s signature art cars, a 1967 Pontiac covered in found objects like poker chips, table lamps, and fake horseheads. The tour then moves outdoors during a stroll between the Main Gallery and the di Rosa’s former residence, a stretch of lawn where two dozen works are installed. (A separate tour takes visitors into the adjoining Sculpture Meadow.) The di Rosas each contributed a piece, artist Veronica a diminutive glass chapel with colorful accents that from a distance reminded us of Dale Chihuly’s work, and Rene—because why not?—a beat-up red car suspended from a tree. 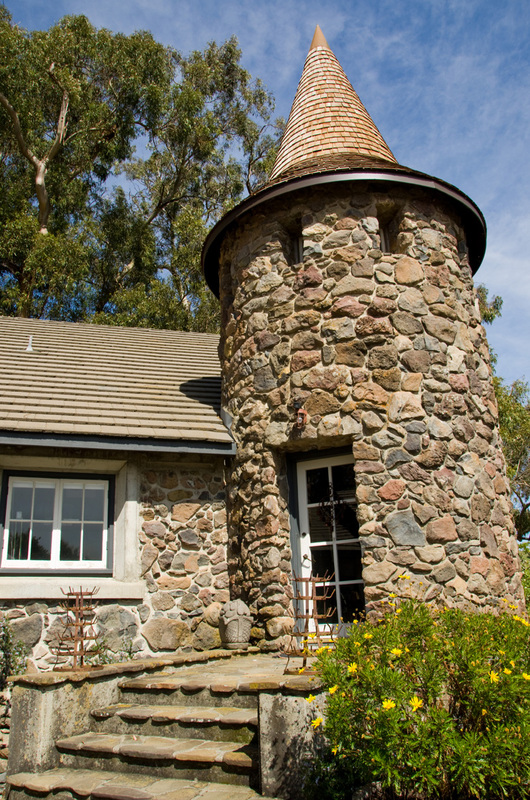 In the stone, turreted Historic Residence, a 125-year-old winery the di Rosas fashioned into an abode, even the bathtub now contains an art installation. Finally, before boarding a return shuttle, we had a few minutes to linger in the sculpture-dotted Courtyard beside the lake—a last look at the “art park” the di Rosas envisioned and gifted to the public. You guys really get around. On 6/17 you are in Napa, two days later and over 800 miles you are at the Glen Canyon Dam and two days later you are back 800 miles in Napa. Your pictures never have either of you in them and they look like they came from a catalog. Are you sure this is real? I love the shot of that chair! It is brilliant!